We offer the classic ski vacation – reminiscent of the days when ski accommodations offered more than just a place to stay. The Alta Lodge atmosphere is relaxed, intimate and informal. 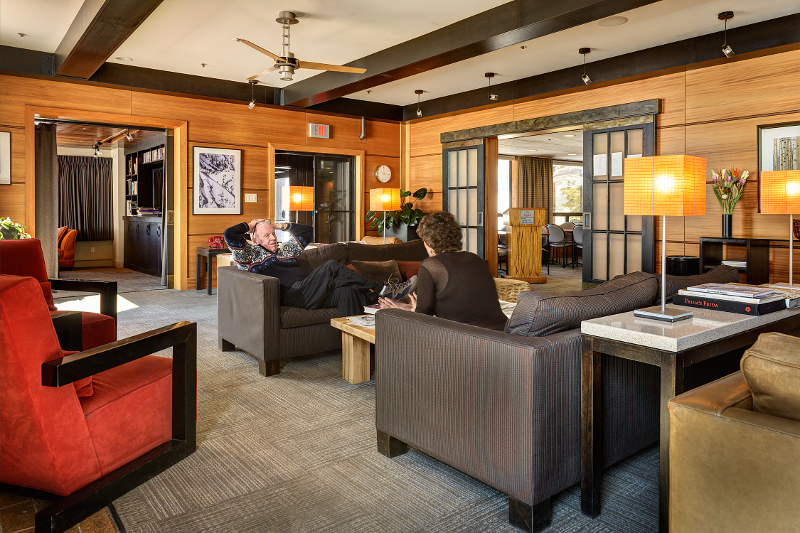 Guests relax in front of the lobby fireplace with the New York Times, meet friends for afternoon tea and cookies, or unwind in the Sitzmark Club bar. Breakfast and a four course dinner daily are included with your stay. Guests can enjoy the tradition of group dining or dine at a private table. Group dining encourages making new friends, and often finding skiing partners with similar interests and abilities. The Lodge is located at 8,600 feet (2,620 meters) at the base of the Alta Ski Area – just 32 miles (52 km) from the Salt Lake International Airport. 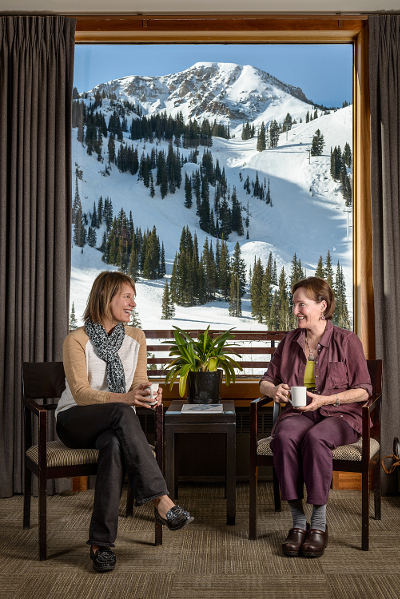 The convenient on-mountain location of the Lodge allows guests to ski right to Alta’s lifts. The average winter temperature is 20 to 25 degrees F (-6 to -3 C), with humidity at less than 10%, which keeps the snow light and dry. The average annual snowfall of 547 inches (13.9 meters) creates not only great powder skiing, but also wonderfully easy-to-ski groomed conditions. As well as the famous “steep and deep”, Alta has many runs and several lifts devoted to beginner and intermediate skiing.